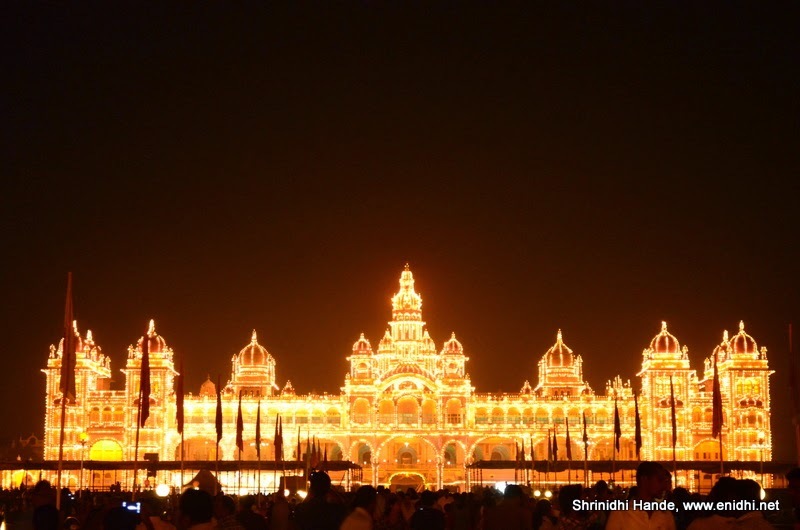 All these years I hadn't managed to click a night time photo of the world famous Mysore palace. 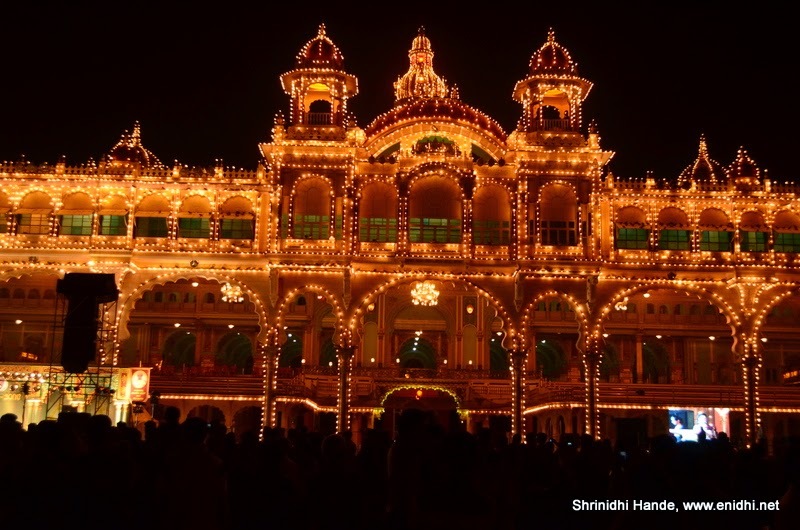 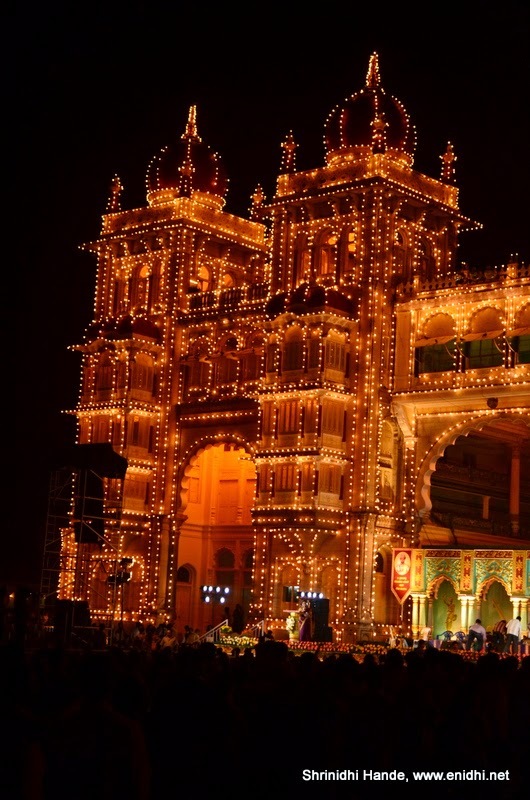 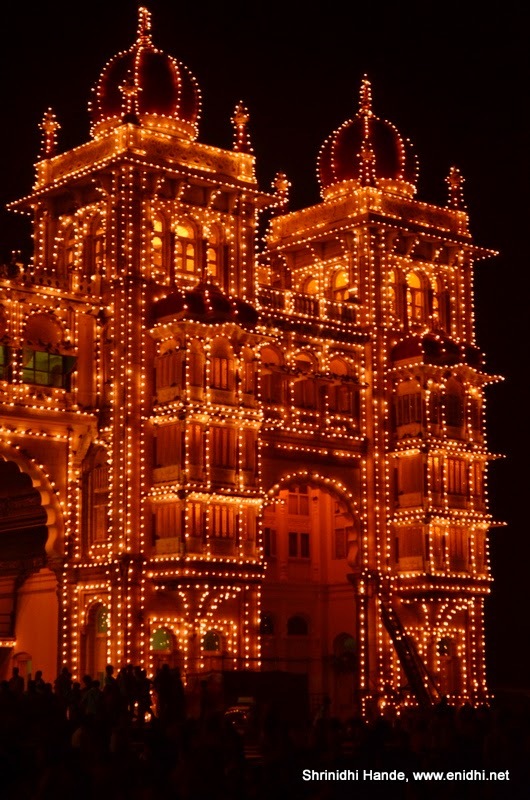 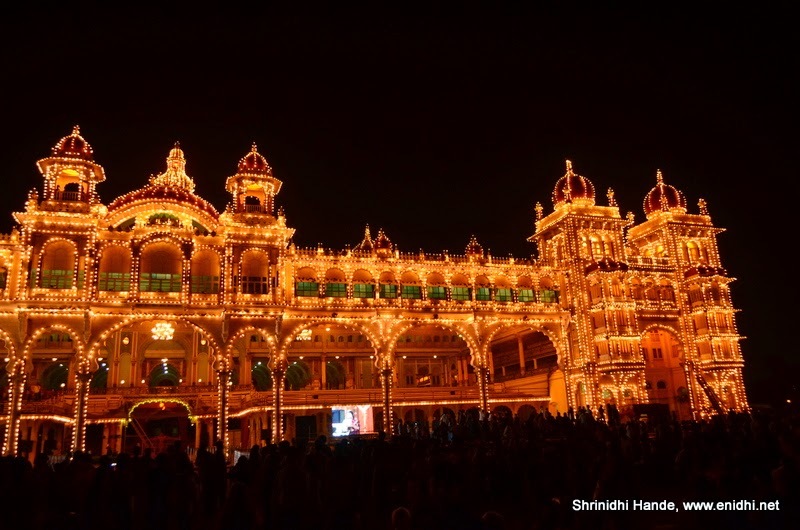 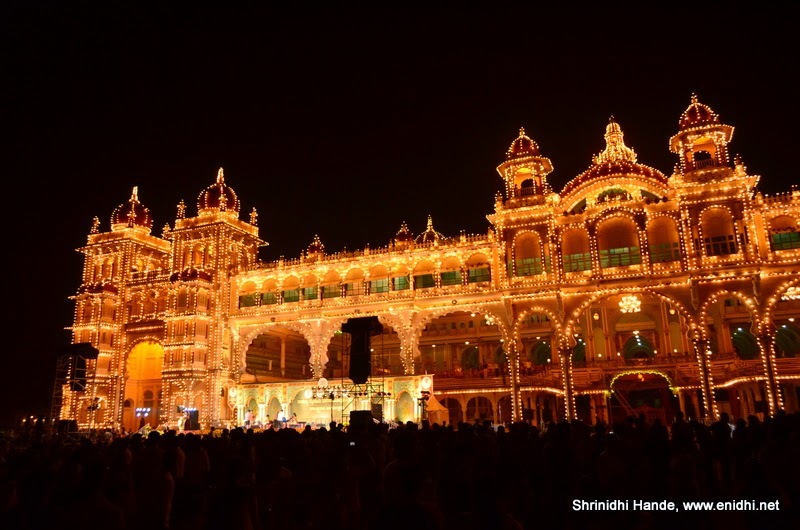 Because the illumination was only for a few hours on specific days and I couldn't manage to be in Mysore at that time. 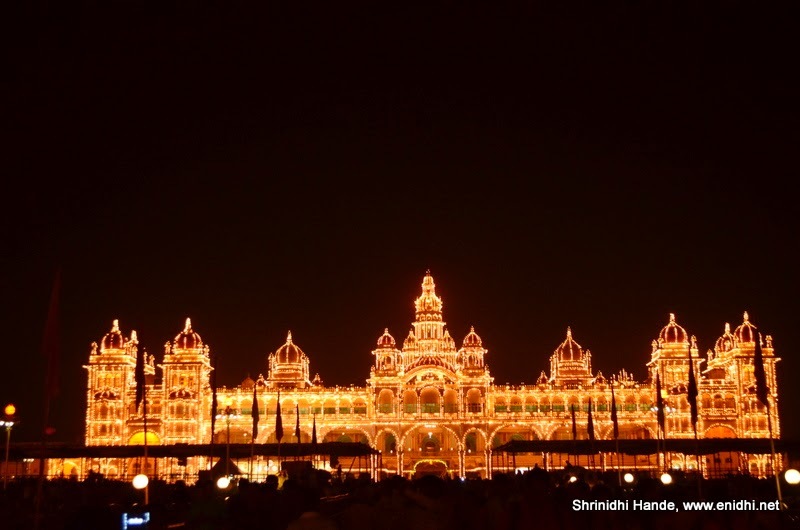 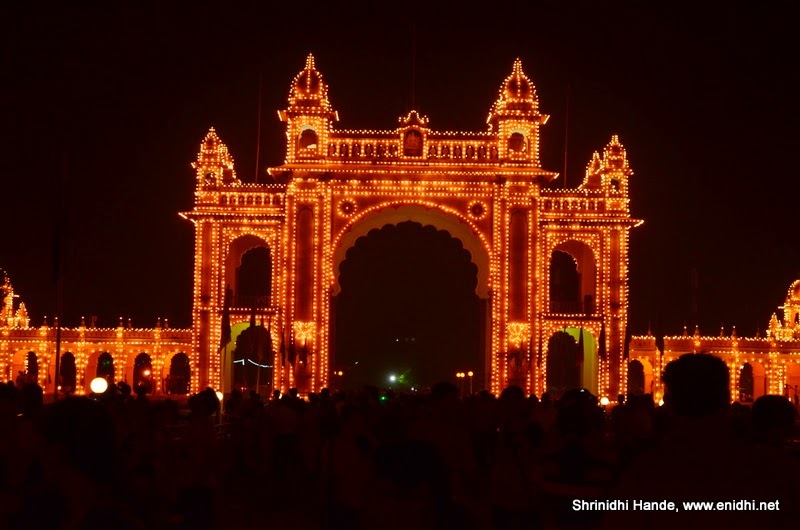 Finally I managed to click the Mysore palace in all its glory, fully illuminated in the night. 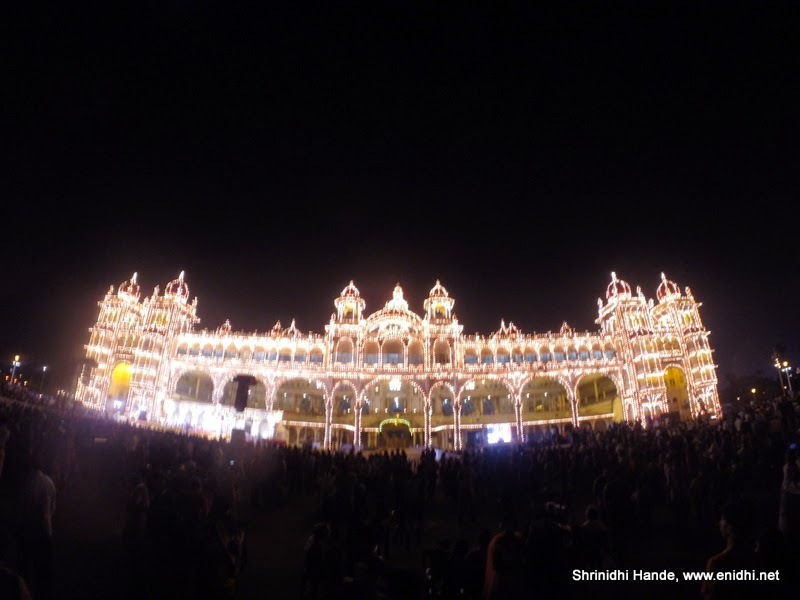 Here're my clicks.